So you are planning to travel to Botswana? Good choice there! But do you know where Botswana is, in Africa, let alone in this planet? Please go here to find out the exact location of Botswana. If you travel to Botswana, the main flights to use are Air Botswana, South African Express and Kenya Airways. 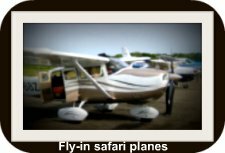 There are many other light air-crafts that fly locally to tourist spots in the country. Air Botswana is your model quality African airline. It operates scheduled domestic and regional flights from its main airport, Sir Seretse Khama International Airport. When you travel to Botswana the main airport to use is the Sir Seretse Khama International Airport. There are two other major airports in Maun and Kasane, and many smaller airports around the country. When exactly to visit Botswana? Botswana has a number of world renowned car hire services. Botswana safari adventure travel is the highlight of adventures you can enjoy in the country. 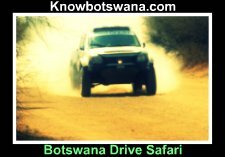 Road travel in Botswana is the main choice to take to enjoy adventure travel in Botswana. Botswana visa is required by some visitors. These may be obtained from Botswana's embassies and high commissions. Botswana has well established health facilities and services for your health needs. 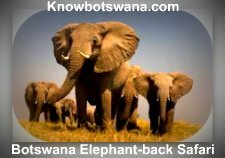 Botswana has a variety of tourist attractions which are most sought after by nature enthusiasts.